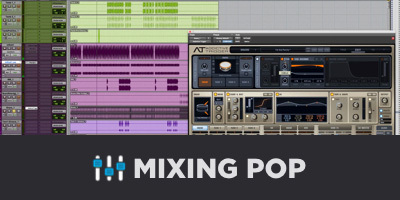 If you’re new to this site, my name is Matt, and I am Akon’s recording and mixing engineer. Kon is all over the map, quite literally. His schedule is crazy, so cutting records happens when it happens, how it happens. We’ve recorded in the most incredible commercial facilities, and recorded with a laptop and interface in an Airbnb. We’ve recorded in studios with broken equipment. We’ve recorded at Kon’s personal studio in his home, which is a fairly modest setup. But at the end of the day, the expectation is always the same: something that sounds better than great. This puts me in a unique position. I have extensive experience in recording major commercial music across the spectrum of recording setups. If (and when) you hear those recordings, odds are you wouldn’t be able to tell where it was recorded. I will say this — the big difference between fantastic commercial spaces and home setups is that it’s easier to get the former to come in sounding perfect, and the sound is generally a bit more “flexible”. With a home recording the question is “how do I make it work?” and with a really pristine recording the question is “in which way do I want to make this work?” It’s a subtle difference and I clearly have a preference. However, there’s no circumstance where making it work is out of the question! What are the differences between home setups and commercial setups? The main difference is that in a home setup we are usually making due with what we have. Physical space can be a slim resource and we are sometimes limited to superficial acoustic treatment. In a commercial facility, the space is specifically designed to create a favorable sound. Meaning the mic is picking up very few room reflections and there is enough space to prevent comb filtering. When I’m setting up the mic in a hotel or Airbnb, I’m looking to set up in a location where there is minimal room interaction. I may use a reflection filter as a bootleg means of controlling the room. I’m almost never set up right up against a wall or in a corner which is a very common mistake. I’ll actually physically move the mic stand while the feed is live so I can hear the sound change in my headphones, and start by just picking a spot that seems to flatter my voice. I’ll angle the mic to project along an oblique angle. Meaning I’m not setting up for the sound to project directly into a reflective surface, but to hit the nearest wall at an angle. In my own home studio, I have a reasonably controlled space. I have treatment up along every wall and ceiling clouds. That said, I still have to position the mic thoughtfully. What about booths? Isolation booths in recording studios are actually much bigger than they look. The room is actually within a larger room, with acoustic treatment behind the initial boundary to control bleed. The walls are generally also treated very carefully in order to minimize reflections, and even then, most isos still have 50+ square feet of air. This space and wall treatment prevents comb filtering, which is a negative interaction of reflections that ultimately cheapens the sound of the microphone. This is why I’m a big advocate of not recording in a closet or up close to a wall. I’d rather have a rich signal with reverb tail than a dry signal with comb filtering. There is something to be said about expensive equipment. The right high-quality equipment really does work magic. But, it’s really not where the real magic occurs. First of all, drums, guitar and bass can all be recorded fantastically with dynamic microphones and usually are, even in top of the line studios. Dynamic mics tend to be inexpensive, with even the pricier ones being around $400 or less. With vocals, acoustic guitars, flutes, pianos; condensers are usually the choice and that’s where the price tag tends to grow. I’ve recorded Kon with C800s, U87s, a Lucas CS-4, Manley Ref C, Slate VMS, and AKG Perception. My favorite mic for Kon is the CS-4, easily. It’s a very round and full-bodied mic which compliments Kon’s brighter front-of-face tone very well. My least favorite is the Manley. It’s very bright/mid-range forward and makes Kon sound piercing. The C800 is actually not much better, but because the capture is a bit smoother in the top end it’s a little more forgiving and easy to work with. I’ve had a great deal of success with both the Slate VMS (in U47 mode) and the AKG Perception — both are inexpensive but yield a very usable sound. I also like the U87 because it adds a gritty character to Kon’s voice that I really dig. Point being, the price tag has basically nothing to do with whether or not the mic works. In addition, understanding how the equipment works is extremely important. A common example of this is proximity. Most microphones function ideally with a range of proximities. 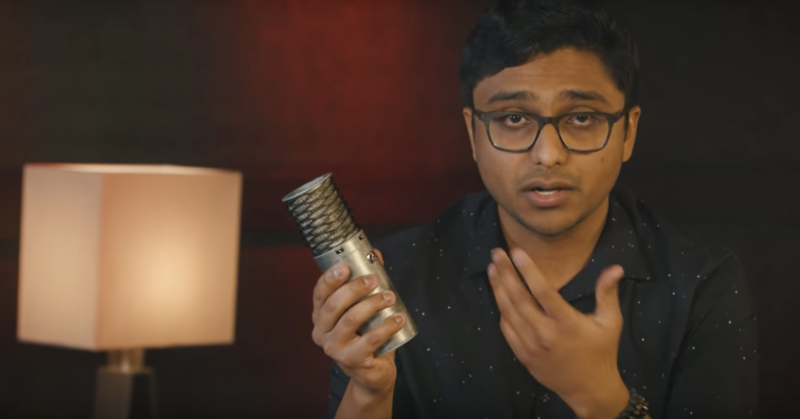 For some mics, you want to be close to the source, and for other mics you want to be further back — and the source itself will heavily influence this. A lot of the time if I want to tighten up or focus the low end of a sound I’ll just move the mic back a couple inches. Works better than EQ. The biggest factor is really the space. I know I just talked about it in the previous section but it’s worth mentioning that if the room itself is bright it is absolutely painstaking trying to clean up Kon’s voice in post. A perfect example of room tone would be Zion and Lennox. Zion’s voice is very bright/front-of-face and Lennox’s voice is very chest heavy. We used a Manley Ref C in a bright sounding iso. Lennox’s voice sounded perfect. Zion’s voice sounded exceedingly harsh and required phrase by phrase surgery to balance in post. Point being — it’s more important for the equipment and room to be appropriate than expensive. Preamps have certain tonal characteristics that vary across the board, but the most pronounced difference between preamps is how they act with higher levels of gain. In the high-end preamp world, you have your API stuff where it’s basically clean gain for days, or you have Neve stuff that saturates pretty quick but it does so in a really nice way. In the cheap preamp world, things tend to gain up pretty badly. You can get much more mileage from a preamp by working within its nominal operating level. The temptation is to crank the preamp so that you get the highest level coming in the converters — but it’s actually not the best fidelity signal. Usually, the best signal equates toward the top of the green in the DAW, not into the yellow. This is another common mistake I see pretty frequently. So is the rest in the mixing? Yes and no. A lot of the sound is really in the tone of the instruments and vocalist. Good players and particularly good vocalists know how to give the mic what it needs to act right. Less experienced musicians tend to just do whatever — and sometimes that’s ok. Ideally, the mic captures the performance, the performance doesn’t placate the mic. But sometimes there has to be a marriage of both. The general litmus test is that even without EQ or compression everything sounds good anyway. The processing just gets it further. That said, processing is important. Sometimes you have to be willing to go further to make the results work. Sometimes something got messed up along the way and you have to get creative in order to fix it. I have an extensive course on various situations you come across when mixing home recordings, everything from weird rooms, unmatched stereo mics, grungy sounds, etc. Suffice to say that the real trick is just having an open mind to what something might need, and have the trained ear to identify what it is. Mixing requires a sense of judiciousness. You must be able to apply literally no processing at all or able to apply copious amounts of EQ, compression, reverb … whatever. Any track at any time could have no active inserts, or I could max out the inserts and I have to commit the sound in order to apply even more processing. Home recordings can sound on par with commercial recordings — or even better. It really comes down to the skill of the musicians and skill of the engineer. It’s very common even within the major label field to get tracks that were recorded in an artist’s garage. Sometimes those tracks actually sound great. Sometimes they require a bit of work to get them where they need to be. But it’s exceptionally rare that great performances can’t yield great records regardless of the recording circumstances. 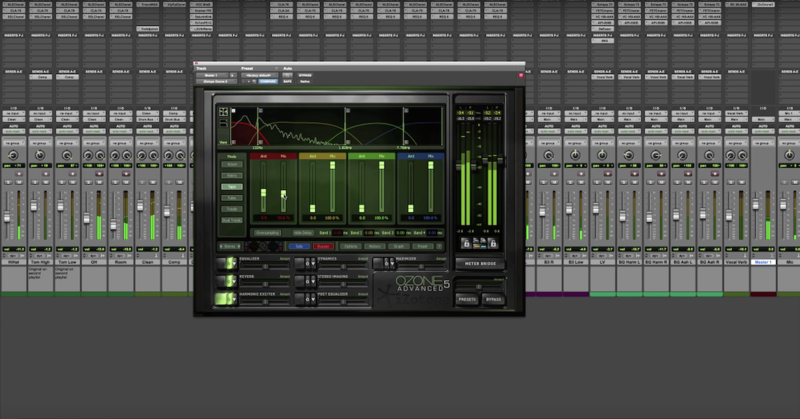 Are you looking to take your home recordings to the next level? In Mixing Home Recordings, Matthew Weiss reveals his best mixing tips, tricks and techniques for getting the best possible sound out of any home recording no matter what gear, circumstances or tracks you’re working with.